Cairo ( ; Arabic: القاهرة‎‎ al-Qāhirah, , Coptic: ⲕⲁϩⲓⲣⲏ Kahire) is the capital and largest city of Egypt. The city's metropolitan area is the largest in the Middle East and the Arab world, and the 15th-largest in the world, and is associated with ancient Egypt, as the famous Giza pyramid complex and the ancient city of Memphis are located in its geographical area. Located near the Nile Delta, modern Cairo was founded in 969 CE by the Fatimid dynasty, but the land composing the present-day city was the site of ancient national capitals whose remnants remain visible in parts of Old Cairo. 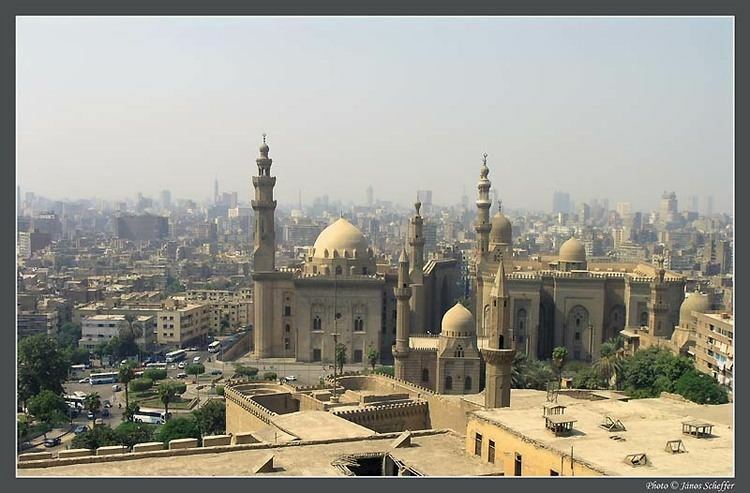 Cairo has long been a center of the region's political and cultural life, and is titled "the city of a thousand minarets" for its preponderance of Islamic architecture. Cairo is considered a World City with a "Beta +" classification according to GaWC. With a population of 6.76 million spread over 453 square kilometers (175 sq mi), Cairo is by far the largest city in Egypt. An additional 9.5 million inhabitants live in close proximity to the city. Cairo, like many other mega-cities, suffers from high levels of pollution and traffic. Cairo's metro, one of two in Africa (the other is in Algiers, Algeria), ranks among the fifteen busiest in the world, with over 1 billion annual passenger rides. The economy of Cairo was ranked first in the Middle East in 2005, and 43rd globally on Foreign Policy's 2010 Global Cities Index. Egyptians often refer to Cairo as Maṣr (IPA: [mɑsˤɾ]; Egyptian Arabic: مَصر‎‎), the Egyptian Arabic name for Egypt itself, emphasizing the city's importance for the country. Its official name al-Qāhirah  (Arabic: القاهرة‎‎) means "the Vanquisher" or "the Conqueror", supposedly due to the fact that the planet Mars, an-Najm al-Qāhir (Arabic: النجم القاهر‎‎, "the Conquering Star"), was rising at the time when the city was founded, possibly also in reference to the much awaited arrival of Caliph Al-Mu'izz li-Din Allah who reached Cairo in 973 from Mahdia, the old Fatimid capital. In Coptic the city is known as Kahire (Coptic: ⲕⲁϩⲓⲣⲏ), meaning "Place of the Sun", possibly referring to the ancient city of Heliopolis, the main seat of worship of the solar deity Ra—(or Re). The location of the ancient city is the suburb of Ain Shams (Arabic: عين شمس‎‎, "Sun-Eye" or "Eye of the Sun"). The ancient Egyptian name for the area is thought to be Khere-Ohe, "The Place of Combat", supposedly in reference to a mythical battle that took place between Seth and Horus. Sometimes the city is informally referred to as Kayro (IPA: [ˈkæjɾo]; Egyptian Arabic: كايرو‎‎). The area around present-day Cairo, especially Memphis, had long been a focal point of Ancient Egypt due to its strategic location just upstream from the Nile Delta. However, the origins of the modern city are generally traced back to a series of settlements in the first millennium. Around the turn of the 4th century, as Memphis was continuing to decline in importance, the Romans established a fortress town along the east bank of the Nile. This fortress, known as Babylon, remained the nucleus of the Roman, and, later, the Byzantine, city and is the oldest structure in the city today. 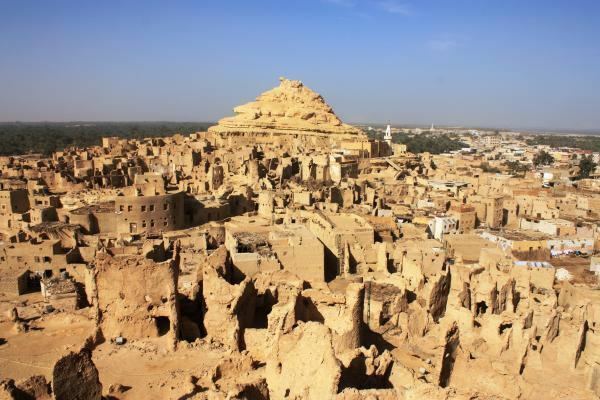 It is also situated at the nucleus of the Coptic Orthodox community, which separated from the Roman and Byzantine churches in the late 4th century. Many of Cairo's oldest Coptic churches, including the Hanging Church, are located along the fortress walls in a section of the city known as Coptic Cairo. Following the Muslim conquest in 640 CE the conqueror Amr ibn As settled to the north of the Babylon in an area that became known as al-Fustat. Originally a tented camp (Fustat signifies "City of Tents") Fustat became a permanent settlement and the first capital of Islamic Egypt. In 905 the Abbasids re-asserted control of the country and their governor returned to Fustat, razing al-Qatta'i to the ground. In 968, the Fatimids were led by General Jawhar al-Siqilli with his Kutama army, to establish a new capital for the Fatimid dynasty. Egypt was conquered from their base in Ifriqiya and a new fortified city northeast of Fustat was established. It took four years for Jawhar to build the city, initially known as al-Manṣūriyyah, which was to serve as the new capital of the caliphate. During that time, Jawhar also commissioned the construction of the al-Azhar Mosque, which developed into the third-oldest university in the world. Cairo would eventually become a centre of learning, with the library of Cairo containing hundreds of thousands of books. When Caliph al-Mu'izz li Din Allah arrived from the old Fatimid capital of Mahdia in Tunisia in 973, he gave the city its present name, al-Qahira ("The Victorious"). In 1169 Saladin was appointed as the new vizier of Egypt by the Fatimids and two years later he seized power from the family of the last Fatimid caliph, al-'Āḍid. As the first Sultan of Egypt, Saladin established the Ayyubid dynasty, based in Cairo, and aligned Egypt with the Abbasids, who were based in Baghdad. During his reign, Saladin constructed the Cairo Citadel, which served as the seat of the Egyptian government until the mid-19th century. Despite these efforts, Cairo's population has doubled since the 1960s, reaching close to seven million (with an additional ten million in its urban area). Concurrently, Cairo has established itself as a political and economic hub for North Africa and the Arab world, with many multinational businesses and organisations, including the Arab League, operating out of the city. In 1992, Cairo was hit by a damaging earthquake, that caused 545 deaths, 6,512 injuries and left 50,000 people homeless. In Cairo, and along the Nile River Valley, the climate is a hot desert climate (BWh according to the Köppen climate classification system), but often with high humidity as it is not very far from the Mediterranean Sea and the Nile Delta. Wind storms can be frequent, bringing Saharan dust into the city, sometimes from March to May (see Khamasin) and the air often becomes uncomfortably dry. High temperatures in winter range from 14 to 22 °C (57 to 72 °F), while night-time lows drop to below 11 °C (52 °F), often to 5 °C (41 °F). In summer, the highs rarely surpass 40 °C (104 °F), and lows drop to about 20 °C (68 °F). Rainfall is sparse and only happens in the colder months, but sudden showers do cause harsh flooding. Snowfall is extremely rare; a small amount of graupel, widely believed to be snow, fell on Cairo's easternmost suburbs on 13 December 2013, the first time Cairo's area received this kind of precipitation in many decades. Dewpoints in the hottest months range from 13.9 °C (57 °F) in June to 18.3 °C (65 °F) in August. Cairo, as well as neighbouring Giza, has been established as Egypt's main centre for medical treatment, and despite some exceptions, has the most advanced level of medical care in the country. Cairo's hospitals include the JCI-accredited As-Salaam International Hospital—Corniche El Nile, Maadi (Egypt's largest private hospital with 350 beds), Ain Shams University Hospital, Dar El Fouad Hospital, as well as Kasr El Aini Hospital. Cairo was ranked as the "world's most 24-hour city" in a 2011 study conducted by the social networking site Badoo, placing it well ahead of other famous big cities such as New York, London or Paris. The study's rankings were determined by measuring the amount of online activity at night versus during the day and by comparing peak-times for such activity in cities across the world. Cairo's highly nocturnal lifestyle is attributed not only to young people in nightclubs but also to the importance of cafés, which remain very active at night as social gathering places to smoke shisha, and even to the late-night public activeness of families with children. 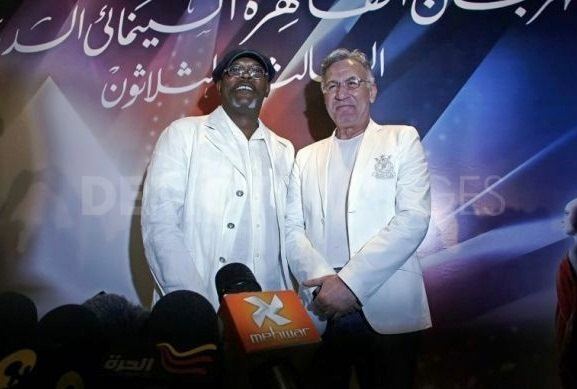 Cairo is also one of few cities in the Muslim world to have several casinos. The Cairo Tower is a free-standing tower with a revolving restaurant at the top. It provides a bird's eye view of Cairo to the restaurant patrons. It stands in the Zamalek district on Gezira Island in the Nile River, in the city centre. At 187 metres (614 feet), it is 43 metres (141 feet) higher than the Great Pyramid of Giza, which stands some 15 kilometres (9 miles) to the southwest. This area of Cairo is so-named as it contains the remains of the ancient Roman fortress of Babylon and also overlaps the original site of Fustat, the first Arab settlement in Egypt (7th century AD) and the predecessor of later Cairo. The area is also known as Coptic Cairo as it holds a high concentration of old Christian churches including the Hanging Church, the Greek Orthodox Church of St. George, and other Christian or Coptic buildings, most of which are located over the site of the ancient Roman fortress. It is also the location of the Coptic Museum, which showcases the history of Coptic art from Greco-Roman to Islamic times, and of the Ben Ezra Synagogue, the oldest and best-known synagogue in Cairo, where the important collection of Geniza documents were discovered in the 19th century. To the north of this Coptic enclave is the Amr ibn al-'As Mosque, the first mosque in Egypt and the most important religious center of former Fustat, founded in 642 AD right after the Arab conquest but rebuilt many times since. While the first mosque in Egypt was the Mosque of Amr ibn al-As in Fustat, the Mosque of Ibn Tulun is the oldest mosque to retain its original form and is a rare example of Abbasid architecture, from the classical period of Islamic civilization. It was built in 876–879 AD in a style inspired by the Abbasid capital of Samarra in Iraq. 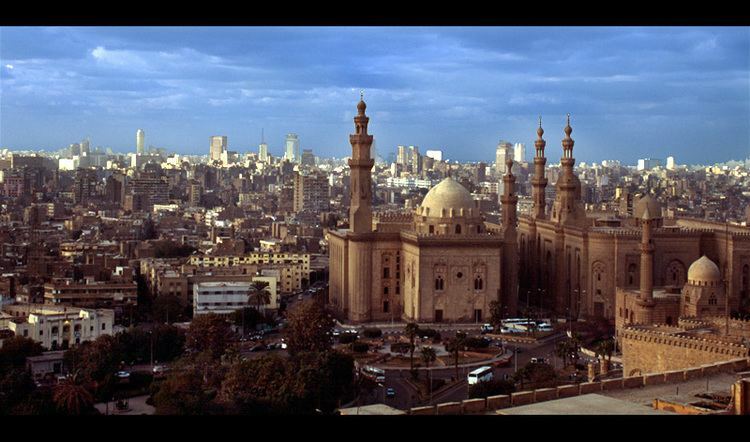 It is one of the largest mosques in Cairo and is often cited as one of the most beautiful. Another Abbasid construction, the Nilometer on Rhoda Island, is the oldest original structure in Cairo, built in 862 AD. 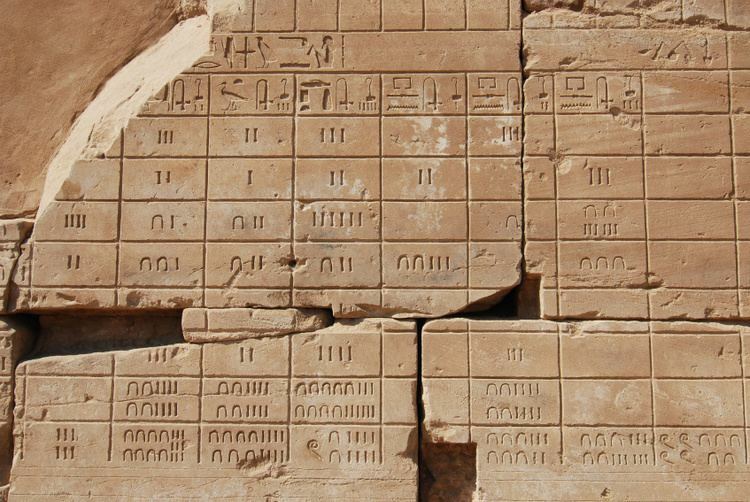 It was designed to measure the level of the Nile, which was important for agricultural and administrative purposes. The city named Cairo (Arabic: al-Qahira) was founded to the northeast of Fustat in 959 AD by the victorious Fatimid army. The Fatimids built a separate palatial city which contained their palaces and institutions of government. It was enclosed by a circuit of walls, which were rebuilt in stone in the late 11th century AD by the vizir Badr al-Gamali, parts of which survive today at Bab Zuwayla in the south and Bab al-Futuh and Bab al-Nasr in the north. The most prominent architectural heritage of medieval Cairo, however, dates from the Mamluk period, from 1250 to 1517 AD. The Mamluk sultans and elites were eager patrons of religious and scholarly life, commonly building religious or funerary complexes whose functions could include a mosque, madrasa, khanqah (for Sufis), water distribution centers (sabils), and mausoleum for themselves and their families. Among the best-known examples of Mamluk monuments in Cairo are the huge Mosque-Madrasa of Sultan Hasan, the Mosque of Amir al-Maridani, the Mosque of Sultan al-Mu'ayyad (whose twin minarets were built above the gate of Bab Zuwayla), the Sultan Al-Ghuri complex, the funerary complex of Sultan Qaytbay in the Northern Cemetery, and the trio of monuments in the Bayn al-Qasrayn area comprising the complex of Sultan al-Mansur Qalawun, the Madrasa of al-Nasir Muhammad, and the Madrasa of Sultan Barquq. It is said that a lot of the columns found in mosques were taken from the Coptic churches because of their beautiful artistic carvings and placed in mosques.